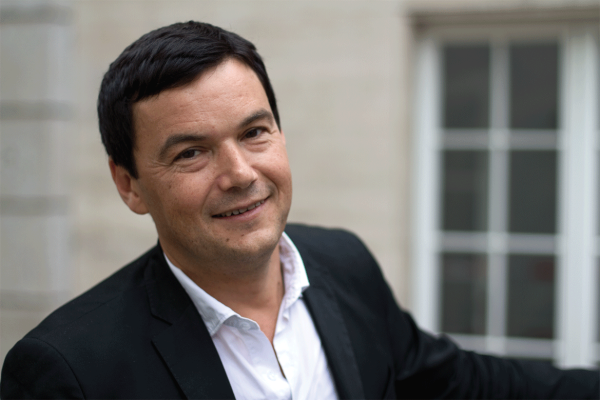 HKW | Democracy Lecture: Thomas Piketty – The End of Capitalism in the 21st Century? No political book in recent years has caused such a sensation as Thomas Piketty’s Capital in the Twenty-First Century. His finding: In the course of the development of capitalism, society’s wealth is becoming ever more concentrated in the hands of the owners of capital. But where does this lead us? Has career advancement through work become a thing of the past? Does this ultimately erode the basis of legitimacy of the entire "capitalist order"? On the occasion of the release of the book’s German edition (Das Kapital im 21. Jahrhundert, published by C.H.Beck), Thomas Piketty debates these questions with philosopher Susan Neiman, political scientist Hans-Jürgen Urban, and cultural scholar Joseph Vogl, with Mathias Greffrath moderating. "Our economic model is at war with life on earth." That is the core message of Canadian author and activist Naomi Klein (No Logo, The Shock Doctrine). Climate change has long since become an existential crisis for the human species. Only immediate action can head off catastrophe. It is a matter of nothing less than overcoming global capitalism and its guiding principle: growth at any price.